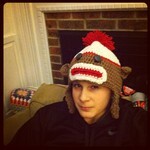 Found this pattern online for an adult sock monkey hat, so I made 2 of them ..I think they turned out cute and funny !! They were quick ,maybe an hour to an hour and a half. Thanks for reading !! Very cute! 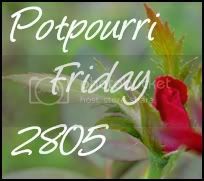 Thank you for sharing at Potpourri Friday! I love it! I'm sure the wearer get's a lot of comments too! LOL! Another reason I need to work on my crochet, too. Would you mind sharing the link with me? So cute & I'm impressed that you know how to make something like this. 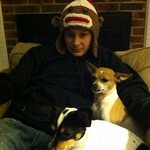 I have lots of friends who are crazy for sock monkeys! Popping by from the 36th Ave blog hop. I enjoyed my visit! Hi I am a new follower hopping from The 36th ave. I hope you follow me too. Oh this is so cute. I found your blog through the hop. So glad that I did!! so cute!! I wish I knew how to crochet!